Napoli Shkolnik PLLC is proud to announce that Partner Hunter J. Shkolnik was named to the Plaintiffs’ Executive Committee in the In Re: National Prescription Opiate Litigation (MDL 2804) by United Stated District Judge Dan Aaron Polster of the Northern District of Ohio. Mr. Shkolnik brings his substantial trial and resolution experience as well as extensive leadership experience in MDL proceedings to the diverse group of selected attorneys. In his role, he will assist with forming various sub-committees to which he will provide oversight, accountability and coordination as the litigation progresses. The Opioid Epidemic is causing a strain on communities throughout the United States. In an effort to respond to the growing opioid crisis, health service programs, first responder personnel, hospitals, morgues and more are being stretched to the limit. On a more personal level, too many families are dealing with the pain of addiction and the harm it causes their loved ones. 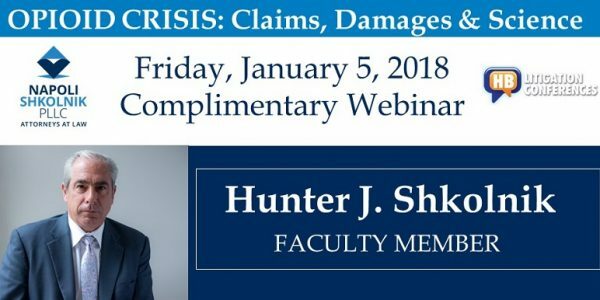 As a member of the Plaintiffs’ Executive Committee, Mr. Shkolnik will continue to organize, coordinate and effectively litigate and MDL of this magnitude. 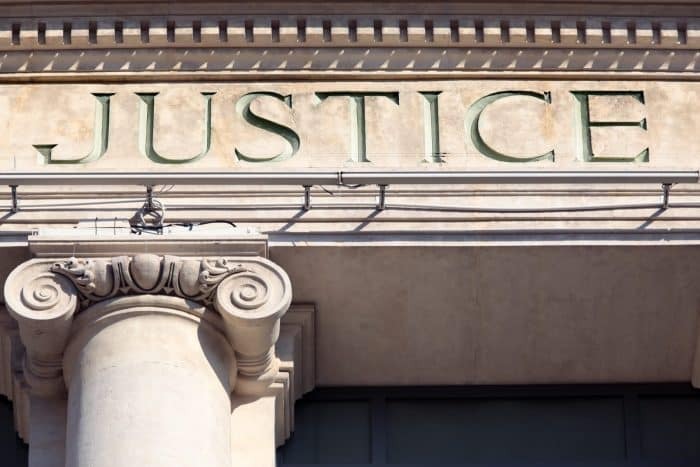 A team of experienced attorneys and support staff at Napoli Shkolnik PLLC, including Partner Shayna E. Sacks and Senior Associates Salvatore Badala and Joseph Ciaccio will provide valuable assistance towards a successful outcome. 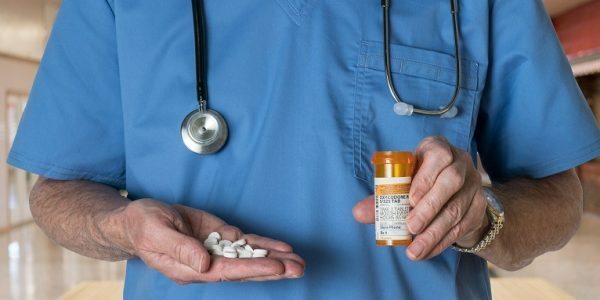 Generally, the opioid lawsuits allege that the manufacturers, distributors and others involved intentionally mislead the public about the dangers of opioid painkillers. As a result of downplaying the high risk of addiction there has been a widespread misuse and abuse of prescription drugs such as OxyContin, Fentanyl and Percocet. The Centers for Disease Control and Prevention (CDC) estimates that 91 Americans die from overdosing on opioids each day. And The National Institute on Drug Abuse estimates that 80% of individuals who enter treatment for heroin addiction took their first opioid legally, as a prescription. 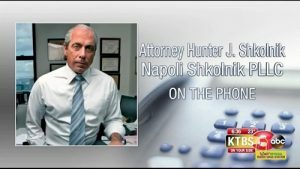 Partner Hunter Shkolnik recently appeared on ABC local affiliate KTBS to discuss the opioid crisis and the resulting lawsuits that are being filed. He explains how manufacturers set up organizations to look like medical boards or medical societies. Then they made sure that favorable articles about opioids that were widely distributed in the medical community. “And what they did was they used these organizations to pump out papers to suggest pain is a disease. Any kind of pain should be treated with opioids, and everybody jumped on the bandwagon,” said Hunter Shkolnik. 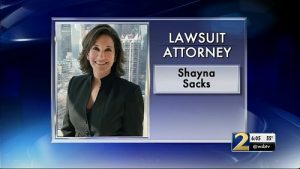 Partner Shayna Sacks also appeared on WSB-TV to discuss the confidence that she and Napoli Shkolnik have in their lawsuit claims. She goes on to explain that the taxpayers will not be footing the bill for the lawsuits. 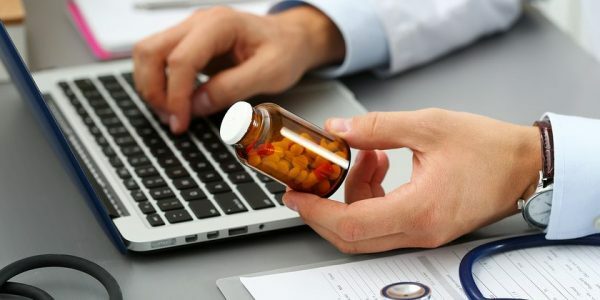 “Distributors specifically we allege that they turned a blind eye to the regulations and the DEA which sought to limit the delivery of those medications when done in suspicious amounts,” said Shayna Sacks.